Audrey Hepburn and Edith Head on set of Roman Holiday! 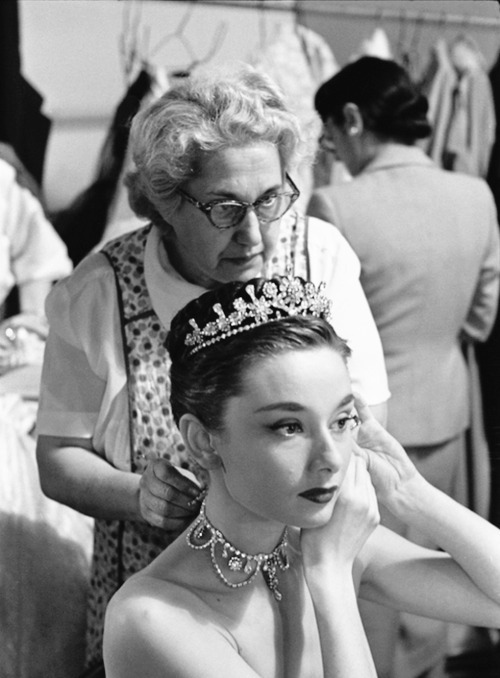 Audrey Hepburn puts on her tiara and necklace while on the set of Roman Holiday (1952, by William Wyler) with Edith Head standing behind her . Next Next post: Isabelle Huppert photographed by Sandro Baebler for The Wrap!